Even More Super Power Superfoods for Your Family! It has been a long and fascinating journey, but we are so happy to have finally found the cleanest organic producer of Spirulina & Chlorella and are so excited to bring them both to you soon! 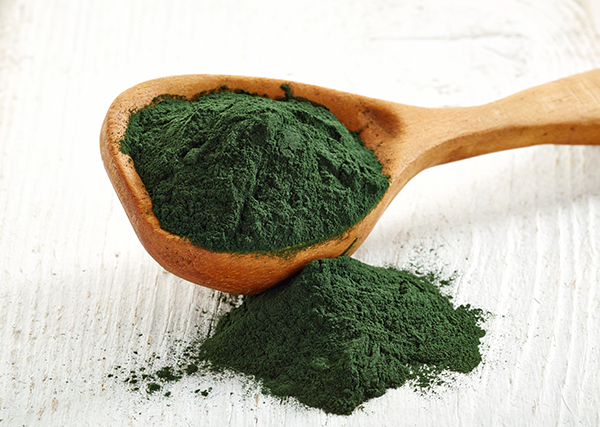 Spirulina & Chlorella are two types of algae that, when properly grown and processes, have such effects on the body that they are most decidedly among the ranks of the top tier superfoods available. Here's a sneak peak at the magic of what Spirulina & Chlorella can do for you and your family! Keep your family looking and feeling young and healthy by protecting them from free radicals - the primary cause of aging and cell damage! Our organically-grown Spirulina is a powerhouse of vitamins and phytonutrients (good-for-you plant-derived nutrients) known to be a mighty health rejuvenator, restorer of energy and a big-time fighter of major diseases like cancer and liver disease. Eliminates Candida (yeast) overgrowth to lower your chance of illness, acne and skin problems. Lowers blood pressure and blood sugar; two factors that lead to disease – providing peace-of-mind. A good source of GLA, an omega-6 fatty acid that is wonderful for your blood and cells, lowering chance of stroke and heart issues. Combats inflammation for a healthier gut and faster healing. Contributes to weight loss for a more fit you. Helps the body fight free-radicals, keeping internal and external aging at bay – look and feel more vibrant. Cleanse toxins and strengthen your family’s immunity with powerful antioxidants and a compound that is unique to chlorella: Chlorella Growth Factor! Chlorella (digestible chlorophyll) purifies cells and your entire body by forming strong bonds with and removing chemicals that contribute to cellular damage and diseases, like cancer and liver disease. Removing these harmful chemicals from your body and creating healthy, strong cells means healthier loved ones and a healthier you. Stimulates DNA repair from stress and toxic substances for a younger, healthier you. B vitamins and folate help with feelings of depression, anxiety and moodiness – wouldn’t it be great to have a daily mood boost and a better sense of balance & well-being? Assists with regular bowel movements so you’ll feel lighter, cleaner and less toxic. Lutein protects eyes from oxidative stress and high-energy light, perfect if you’re in the sun or at a computer all day. Lowers blood pressure and blood sugar; two factors in our most dangerous health crises: heart disease and diabetes – with a healthy diet and chlorella, you’ll be on the right track to staying health daily. Oxygenates blood cells to repair injury, reduce illness and provide lasting energy; you and your family will feel a sustained level of vitality every day. 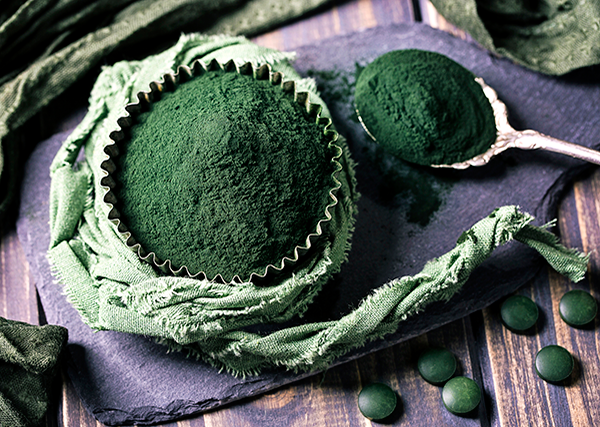 While there are many similarities within Spirulina & Chlorella, there are some very unique distinctions that make adding both into your family's health routine an extreme benefit. Spirulina is extremely high in protein with high concentrations of phycocyanin, a known cancer-fighting phytochemical (natural plant chemical with protective or disease-preventative properties.) On top of this, large amounts of good fats make it an ideal supplement for good heart health. Chlorella on the other hand is quite high in iron, making it good for improving your red blood cell count for better body oxygenation. Chlorella is ideal for brain health and neurological functions due to its ability to repair nerve damage more efficiently. When Spirulina and Chlorella are combined, their protein, vitamins, minerals, phytonutrients (good-for-you plant-derived nutrients) and phytochemicals will provide you and your family enhanced immunity, increased energy, and optimum body, brain and heart health. Chase away illness and disease with ease and provide important nutritional support for you and your family. Algae can be a sponge for toxins, so when grown under the wrong conditions, it may be toxic to your health. Because our Spirulina and Chlorella come from strictly monitored sources with optimal growing conditions, they are always safe and able to be absorbed into your body properly. Many brands are not held to our strict guidelines and are not organic, gluten-free, or allergen, mold and bacteria-free, causing upset stomach or worse. An independent study rigorously tested over 17 brands of chlorella and found the cheapest Chinese imports and the organic Chinese brands to be contaminated with heavy metals, especially dangerous levels of aluminum. That same study also found that our source offered the only 100% pure, clean algae without the dangerous heavy metals or contaminants. Due to the extremely high quality of our upcoming Spirulina & Chlorella superfoods, we predict these powders will be flying off the shelf as soon as they are available. Sign up now to be notified as soon as they arrive. We want to be sure you get them before we run out of our first batch! We can't wait for you and your family to try these new amazing superfood powders.